to an explosion of research studies on the subject. The most recent study was carried out in 2013 by Dr. I.
pain more often than boys. 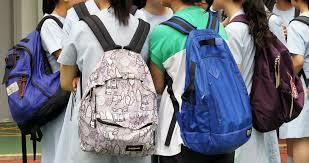 weight limits for school backpacks. caused by carrying bags that are at the 10% limit. carrying school bags on one shoulder. cognitively, actually impacting the decision-making process. make better decisions as well.